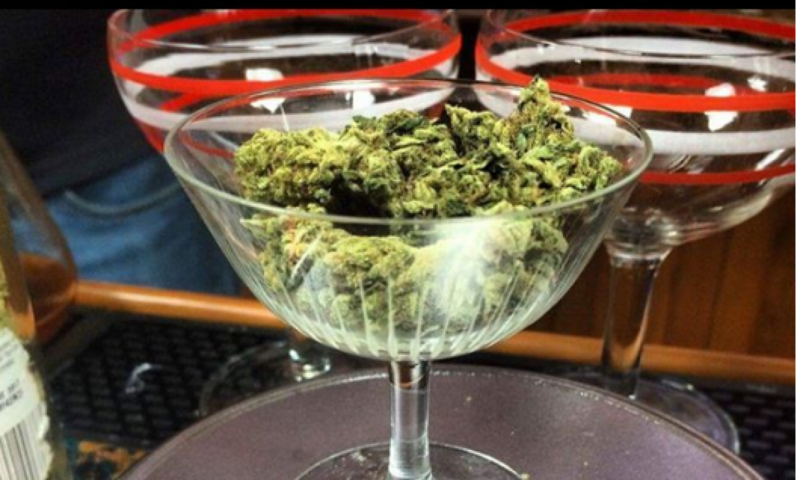 Join Ada’s as we welcome The Cocktail Whisperer Warren Bobrow to learn the history of cannabis as a social drug and its growing acceptance to becoming a medicinal. Look beyond cocktails and create successful tonics, syrups, shrubs, bitters, compound butter and exotic infused oil to use in any drink. Warren Bobrow is the creator of the popular blog cocktailwhisperer.com and the author of Apothecary Cocktails, Whiskey Cocktails and Bitters, & Shrub Syrup Cocktails. Warren has taught classes on spirits and cocktails all over the world, including an advanced class on rum at the Moscow Bar Show. Warren will be signing copies of his book: Cannabis Cocktails, Mocktails and Tonics, a collection of 75 recipes of cannabis-influenced cocktails ranging from cocktails incorporating cannabis infused liquors to drinks featuring cannabis bitters and tinctures, and drinks flavored with cannabis smoke. Books are available for purchase in the store or on our website. Previous PostPrevious Chainsaw Cut Ice… for these unbearably hot days! Next PostNext Total Food Service Interview; I’m honored!